Tanking of Discovery's large orange external tank with 500,000 gallons of liquid oxygen and hydrogen began this morning at 7:11 a.m. Tanking was delayed about an hour when one of two heaters needed to purge the External Tank failed. Primary and backup heaters are required for tanking to begin. A "red team" was being dispatched to the pad and the problem was resolved. Activities continue for an ontime launch of Discovery at 3:51 p.m. EDT today. At about 11 p.m. Tuesday evening, Launch Pad 39B's Rotating Service Structure (RSS) was retracted from Discovery in preparation for Wednesday's Return to Flight launch. When in place, the giant enveloping appendage is used to install payloads into an orbiter's cargo bay and provide protection from inclement weather. Early Tuesday evening at Launch Pad 39B, the cover of Discovery’s window #7 fell approximately 60 feet and struck a carrier panel on the orbiter's left Orbital Maneuvering System pod, damaging several tiles. A replacement carrier panel was quickly located and successfully installed on the orbiter. Work on the panel took approximately one hour, slightly delaying tonight's planned 7 p.m. rollback of the pad's Rotating Service Structure. No other issues are being tracked by the Launch Team. Earlier on Tuesday at a Countdown Status Briefing, NASA Test Director Jeff Spaulding and STS-114 Payload Manager Scott Higginbotham agreed that everything is go for launch on Wednesday. Discovery, its payloads, the launch team, and the Expedition 11 crew aboard the International Space Station are ready for the mission. Shuttle weather officer Kathy Winters reported a slight increase of a weather delay during countdown -- 40%, up from 30% Monday -- due to the possibility of showers or a thunderstorm, which is typical for this time of year at the launch site. The families of the Columbia astronauts issued a statement today, saying "we have every confidence that the sacrifice of our loved ones and those that preceded them will be realized for the benefit of all humankind" See below. Mostly cloudy with 70% chance of precipitation and 70% chance of lightning during isolated thunderstorm activity for early afternoon. The forecast for Thusday and Friday is currently the same. This would indicate a definite scrub. No launch will take place if the forecast exceeds 40% chance of lightning. The current launch schedule is for a second try on Thursday, July 14, and then on Saturday. Update 10:30 EDT: NASA has scrubbed today's scheduled launch of Discovery, STS-114 due to "anomalous readings" from one of the four fuel cut-off sensors on the External Tank. The sensor indicated that the tank was low, even though the tank contained a full load of 535,000 gallons of liquid oxygen and hydrogen. The current launch window opportunity extends to the end of July, after which operations will have to wait until September. This is dictated by the choice of a daylight launch, for purposes of meticulously photographing the Shuttle and by the position of the International Space Station. "As NASA prepares to launch the Shuttle Discovery, we, the Columbia Families, would like to show our support for the STS-114 crew and all the dedication and talent of those who supported this Return to Flight effort. We have had two and one half years to reflect daily on the loss of our loved ones as the Shuttle Columbia (STS 107) broke apart over Texas on February 1, 2003. "In the aftermath of the Columbia tragedy we saw our nation's space program reinvent itself. The extraordinary efforts of local, state and national organizations involved in the recovery effort, the Columbia Accident Investigation Board, the Return to Flight Task Group and all the NASA and aerospace industry workforce implementing the Return to Flight effort have clearly done an exemplary job in defining and reducing the technical risk as much as possible. As the families of Apollo 1 and Challenger before us, we grieve deeply but know the exploration of space must go on. We hope we have learned, and will continue to learn, from each of these accidents, so that we will be as safe as we can be in this high risk endeavor. "As important as solving the technical risk is, we must be vigilant to ensure the organizational and cultural issues that contributed to Apollo, Challenger, and Columbia are forever remembered. Under the leadership of the new NASA Administrator, we have every confidence that the sacrifice of our loved ones and those that preceded them will be realized for the benefit of all humankind. From left, STS-114 astronauts Steve Robinson, Jim Kelly, Andy Thomas, Wendy Lawrence, Charlie Camarda, Eileen Collins and Soichi Noguchi. . Photo credit: NASA. Col. Eileen Collins, USAF (Ret.) joined the Astronaut Corps in 1990, after an impressive resume obsessed with flight. She was the first female Pilot Trainer in the Air Force and one of the first to graduate Test Pilot school. She has logged 537 hours in space, including the first woman to pilot the Space Shuttle, the first astronaut to achieve pregnancy and the first woman to command the shuttle. "We're a nation of explorers. We are the kind of people who want to go out and learn new things, and I would say take risks, but take calculated risks that are studied and understood." James Kelly was selected to NASA's Astronaut Corps and reported to the Johnson Space Center in 1996. "If you look through history, you see that the explorers and the countries that were doing the exploring, were the ones that were making the world a better place to live in," he said. "That's still true." After work as a research scientist at the Langley Research Center in Hampton, Va. 1974, "Charlie" Camarda went to work for NASA. Camarda holds seven patents on various innovations, including NASA's Heat-Pipe-Cooled Sandwich Panel, named one of the top 100 technical innovations of 1983 by Industrial Research Magazine. Camarda was named a mission specialist in 1996. (MIT) and the Woods Hole Oceanographic Institution (WHOI) in 1988. Noguchi was selected in 1996 by the National Space Development Agency of Japan whose charter led the Japanese Development of Space Program. Two months later, Noguchi flew overseas and reported to the Johnson Space Center in Houston. After two years of training and evaluation, he qualified for flight assignment as mission specialist. He will also become the second Japanese astronaut ever to walk the void on three spacewalks. Along with STS-114 crewmate Steve Robinson, he will perform maintenance to the Station as well as demonstrate new critical tile repair techniques for the Shuttle. "Every mission is critical," Noguchi said. "Our mission actually opens the doors for all subsequent flights. If we don't make a successful flight, there may be no other flights following us, so in that sense, our mission is very critical to continue our journey to space. He received a bachelor's degree in mechanical aeronautical engineering from the University of California at Davis in 1978, followed with a master's in 1985 and a doctorate in 1990, both in mechanical engineering from Stanford University. Robinson started work at NASA's Ames Research Center in 1979 as a research scientist in the fields of fluid dynamics and aerodynamics. 1995 to begin his official training. Robinson met his dream of flying into space in 1997 as he flew onboard Shuttle mission STS-85. As mission specialist, he flew the shuttle robot arm and the experimental Japanese robot arm, and served as a backup to the spacewalk crew. "If you try to take the fragile human body from zero velocity relative to the surface of the Earth, accelerate it to 17,500 mph in the vacuum of space, and then reverse that process and bring it down, it is inherently dangerous," he explained. "It is, however, worth it because this is the human destiny." It was at JPL that his highest ambition would finally be within his grasp. In 1992, Thomas was selected to join America's Astronaut Corps and completed training as a mission specialist the following year. May 19, 1996, marked his first day in space. 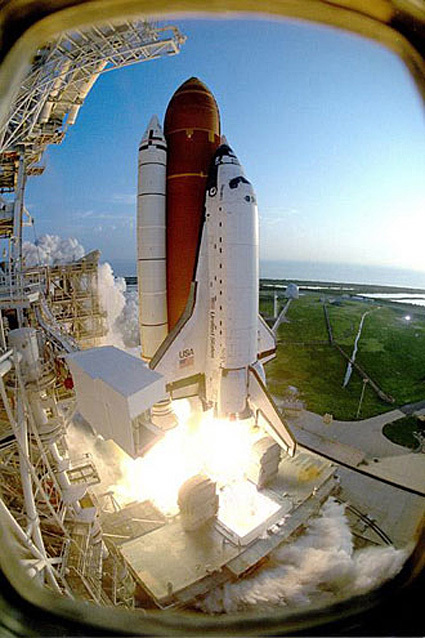 He has made three trips into space on two Shuttles, Endeavour and Discovery. "I see that as a very logical progression in the idea of human exploration of going out initially in ships from the civilization centers to the uncharted parts of the world," he said. "I see the next steps as going beyond the world, out into the solar system." Discovery (OV-103) was NASA's third Space Shuttle orbiter to join the fleet, arriving for the first time at the Kennedy Space Center in Florida in November 1983. After checkout and processing, it was launched on Aug. 30, 1984, for its first mission, 41-D, to deploy three communications satellites. Since that inaugural flight, Discovery has completed 30 successful missions -- more than any other orbiter in NASA's fleet. Discovery is named for two famous sailing ships; one sailed by Henry Hudson in 1610-11 to search for a northwest passage between the Atlantic and Pacific Oceans, and the other by James Cook on a voyage during which he discovered the Hawaiian Islands. Discovery has the distinction of being chosen as the Return to Flight orbiter twice. The first was for STS-26 in 1988, the first Return to Flight mission after the Challenger accident. 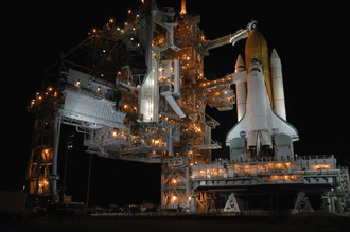 The shuttle assembly, including the Discovery Orbiter, the External Tank and the Solid Rocket Boosters generates 7, 820,000 pounds of thrust and weighs 4.5 million pounds at liftoff. The landing mass is 230,000 pounds. The passenger capacity is 10 astronauts, but 5 - 7 is usual. The largest crew was 8. The maximum cargo to orbit is 63,500 pounds, about 5 tons more than the net load of a highway-legal log truck. Launch to a Low Earth Orbit of 115 - 400 statute miles is attained by a velocity of 17,321 mph. 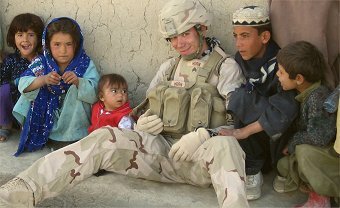 LMC at the Llamabutchers links to a moving post from Blackfive about Special Forces Sergeant Andy McCaffrey and his struggle to return to his Special Forces Team after losing his right arm. Do not pass this up. Arthur Chrenkoff has Good news from Afghanistan, part 14 up including articles on the September election. The Coalition forces will be providing increased security for the election: the Netherlands are sending a marine battalion, Spain 400 soldiers, France 300 troops and some airplanes, Romania is sending 400 extra troops, and Austria additional 100. Overall, 2000 more NATO peacekeepers will be deployed throughout the country at the election time. FWIW, I save every one of the "Good News" posts. On a somber note, it is reported that the body of the fourth missing U.S. Navy Seal has been found in Afghanistan. The Army says he was definitely killed in combat, not as a result of capture. It's Friday, and time to publicly show support for all of our military, wherever they serve by flying our flag and wearing Red. And this week, it wouldn't hurt to display the Union Jack as well. Sergeant Brian Horn from LaPlata, Maryland, an Army Infantry Soldier with the 173rd Airborne Brigade was in the Kirkuk area of Iraq when he started the idea of Any Soldier to help care for his soldiers. He agreed to distribute packages, that came to him with "Attn: Any Soldier" in the address, to the soldiers who were not getting mail. 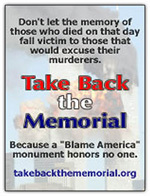 Brian is in Afghanistan now, and Any Soldier Inc. continues with your support. 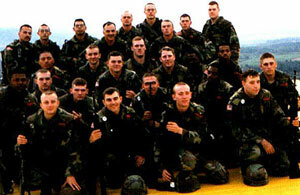 A-Company, 1st Platoon, 4/5 Air Defense Artillery, 1st Cavalry, deployed to the Balkans from Fort Hood, Texas 1998/1999 started the AdoptaPlatoon Soldier Support Effort™. Their goal was to have no soldier who would stand for mail-call and be forgotten. Today, AAP continues to serve our military around the world with the same goal knowing that they and they alone are our Nation's heroes." These are just a small representation of the individuals and organizations that daily let our troops know that not one of them is forgotten. Let's let them know that we are fully aware of what it costs to keep us from the horrors inflicted on London, New York, Madrid and the millions in Iraq, Afghanistan, Kosovo and elsewhere who want to live under the same freedom we take for granted. Let us also send our prayers and our hopes to the families and comrades of those lost, especially to those of the U.S. Navy Seal missing in Afghanistan. Vice Admiral James Stockdale USN (Ret.) died today at his home in Coronado, CA. Admiral Stockdale was 81. The Navy did not specify the cause of death but it is thought to be from complications of Alzheimer's Disease. 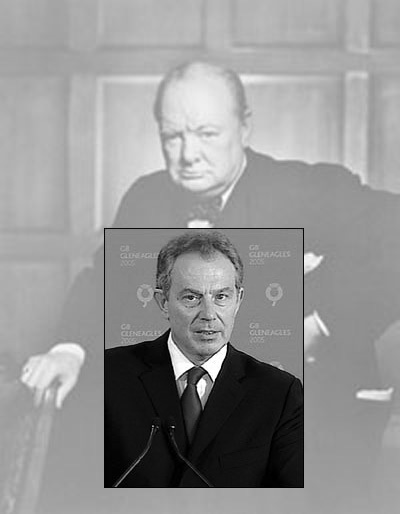 He is survived by his wife and co-author Sybil, their four sons and eight grandchildren. Admiral Stockdale, a Navy fighter pilot, was best known for having spent 7 1/2 years as the senior naval prisoner of war in Hanoi and for running as the Vice-Presidential candidate with Ross Perot in 1992. There was much more. Born in Abingdon, Illinois, he attended the United States Naval Acedemy, graduating in 1946. After graduating from flight school at Pensacola he reported to the fleet as a fighter pilot. In 1954, Stockdale attended the Test Pilot School at Patuxent River, Maryland. One classmate was John Glenn. "[I] had the best seat in the house to watch that event, and our destroyers were just shooting at phantom targets -- there were no PT boats there.... There was nothing there but black water and American fire power." On a mission over North Viet Nam, in his third combat tour, his A-4E Skyhawk was hit by ground fire. Stockdale ejected, landing in a village. He was severely beaten and turned over to the North Vietnamese authorities and taken to Hoa Lo prison, Hanoi. Here began a brutal and heroic odyssey. From his capture in 1965 to his release in 1973, Stockdale spent four years in solitary confinement, two in leg irons. According to the Navy, at least 15 times he was locked in leg irons in a bath stall and routinely tortured and beaten. When told by his captors that he was to be paraded in public, Stockdale slit his scalp with a razor to purposely disfigure himself so that his captors could not use him as propaganda. When he heard that other prisoners were dying under the torture, he slit his wrists and told them that he preferred death to submission. In an interview with PBS' Jim Lehrer, Stockdale recalled his disastrous convention speech in light of these experiences. It was terribly frustrating because I remember I started with, "Who am I? Why am I here?" and I never got back to that because there was never an opportunity for me to explain my life to people. It was so different from Quayle and Gore. The four years in solitary confinement in Vietnam, 7½ years in prisons, drop the first bomb that started the ... American bombing raid in the North Vietnam. We blew the oil storage tanks of then off the map. And I never - I couldn't approach -- I don't say it just to brag, but, I mean, my sensitivities are completely different. Vice Admiral Stockdale holds 26 combat decorations, including two Purple Hearts, two Distinguished Flying Crosses, three Distinguished Service Medals, four Silver Star Medals, and the Medal of Honor. He is the only three- or four-star officer in the history of the U.S. Navy to wear both aviator wings and the Medal of Honor. In 37 years on active service he spent eight on shore duty. Upon his retirement from the Navy in 1979, the Secretary of the Navy established the Vice Admiral James Stockdale Award for Inspirational Leadership which is presented annually to two commanding officers, one in the Atlantic Fleet and one in the Pacific. In 1989, Monmouth College in his native State of Illinois, from which he entered the Naval Academy, named its student union "Stockdale Center." The following year he was made a 1990 Laureate of the Abraham Lincoln Academy of Illinois in ceremonies at the University of Chicago. He is an Honorary Fellow in the Society of Experimental Test Pilots. In 1993 he was inducted into the Carrier Aviation Hall of Fame, and in 1995 was enshrined in the U.S. Naval Aviation Hall of Honor at the National Museum of Naval Aviation in Pensacola, Florida. Admiral Stockdale wrote numerous books, including A Vietnam Experience: Ten Years of Reflection (Hoover Institution Press), which won the 1985 Freedoms Foundation at Valley Forge Honor Prize for Books, and In Love and War (1984, Harper and Row), coauthored with his wife Sybil and now in its second revised and updated edition (1990, U.S. Naval Institute Press). In early 1987, a dramatic presentation of In Love and War as an NBC television movie was viewed by more than 45 million Americans. Mrs. Stockdale lobbied Congress through the war years, for US military recognition of imprisonment conditions of prisoners of war, and the hardships suffered by their families at home. Afghanistan a week ago have been found dead and one rescued, but the whereabouts of a fourth remains unknown, the U.S. military said on Tuesday. The bodies of the soldiers, part of a four-man Navy SEAL reconnaissance team that went missing during fighting with militants in Kunar province, were found during a combat operation there on Monday, a military statement said. The men's bodies were taken to Baghram Air Base for examination. Let us extend our sympathy, our solidarity and our heartfelt wishes to their families and their comrades.